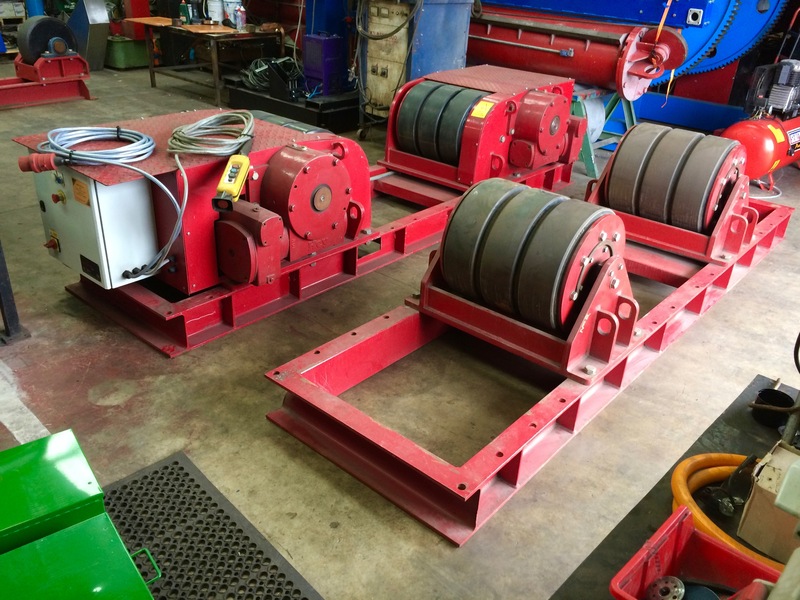 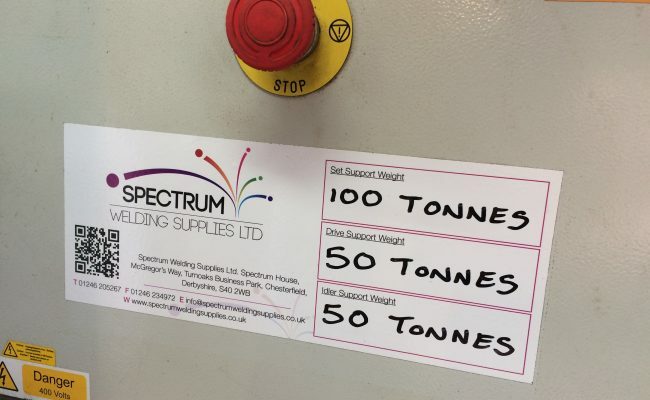 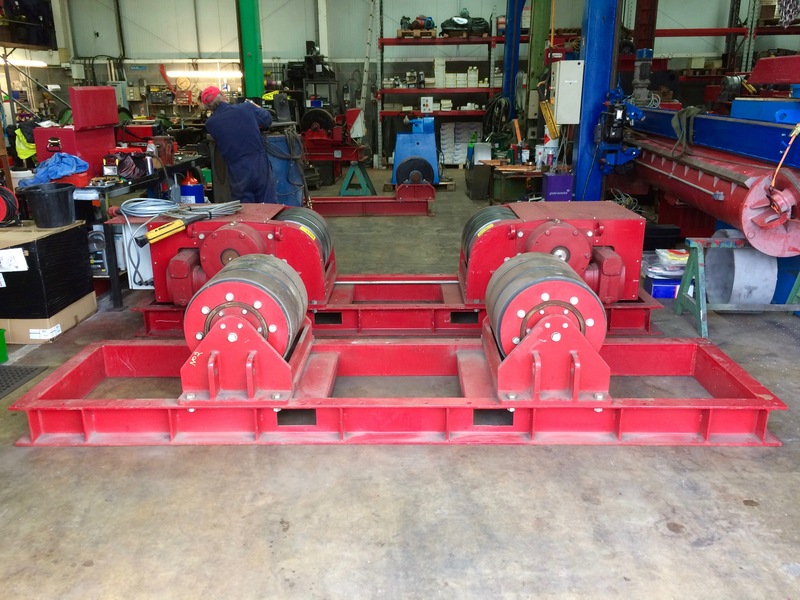 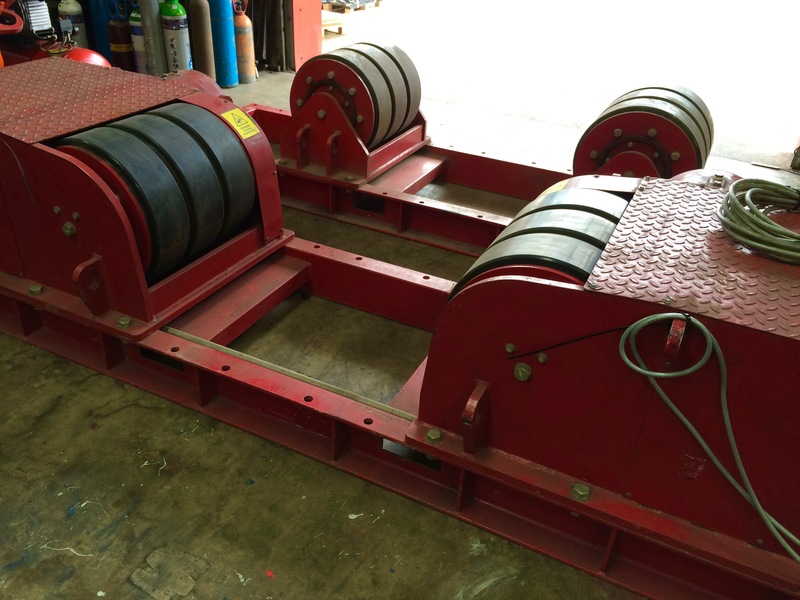 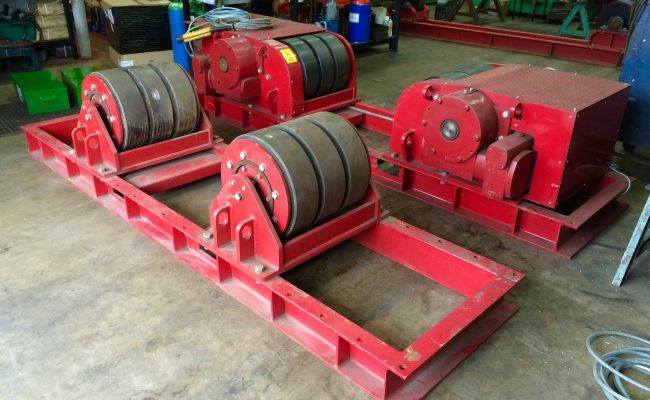 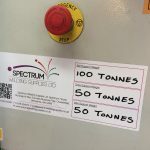 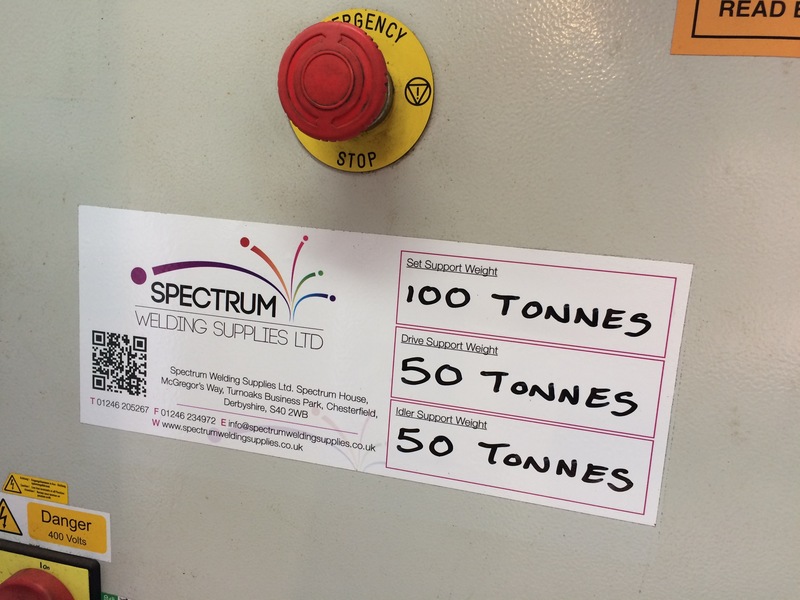 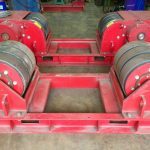 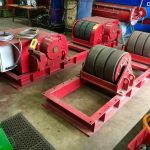 Here at Spectrum we usually have 100 tonne conventional welding rotators in stock and ready to go. 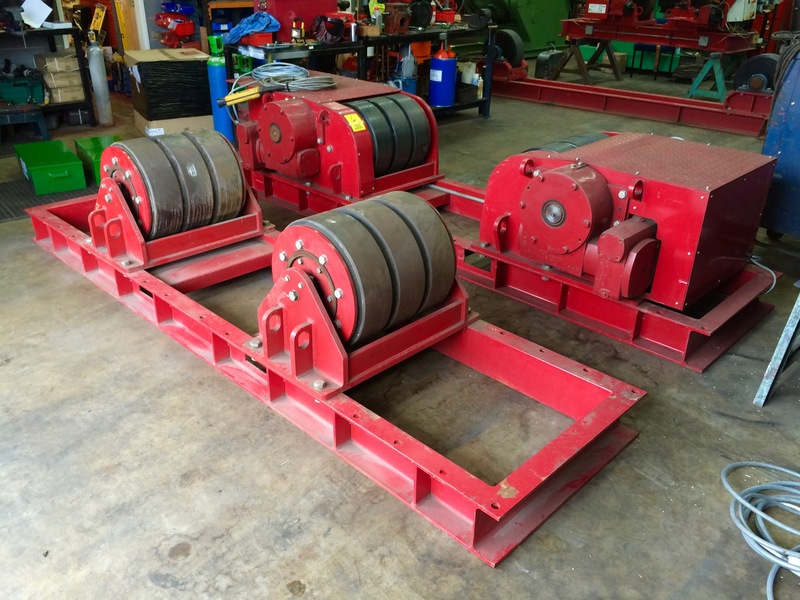 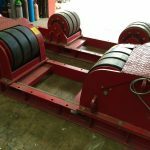 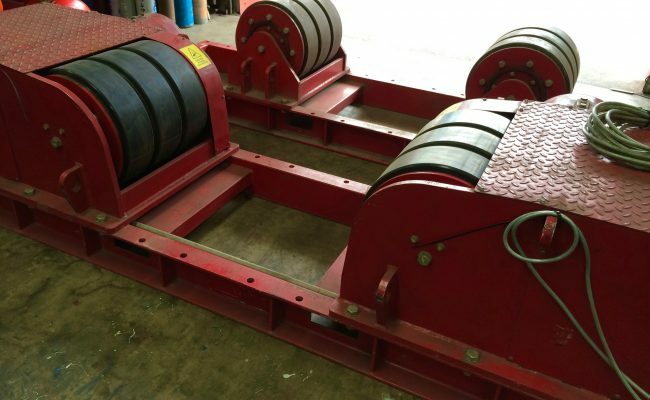 These welding rotators are ideal for wide vessels, and heavy ones at that, whether they are being filled with concrete or are thick plate, long and awkward. 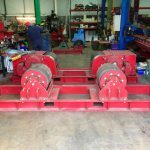 With 2 idler frames these 100 tonne conventional welding rotators will turn 150 tonnes in total. 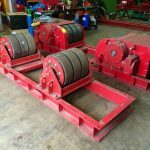 They may amazing torque and turning power and have been a major asset to the hire fleet over the years. 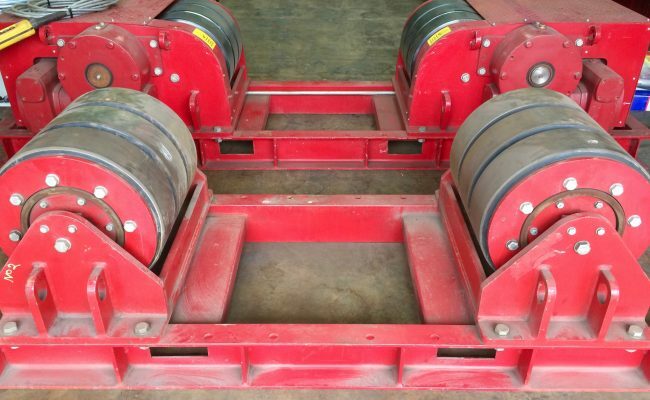 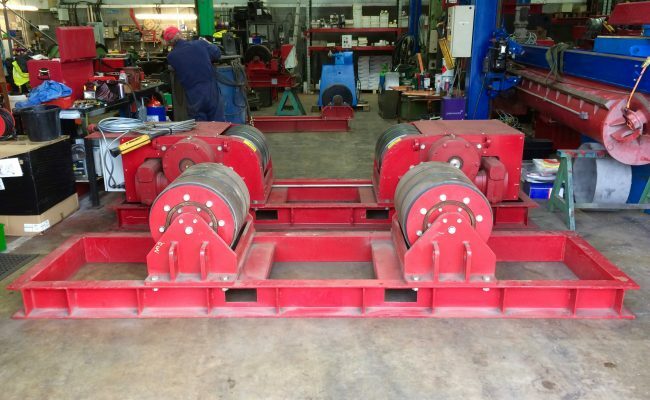 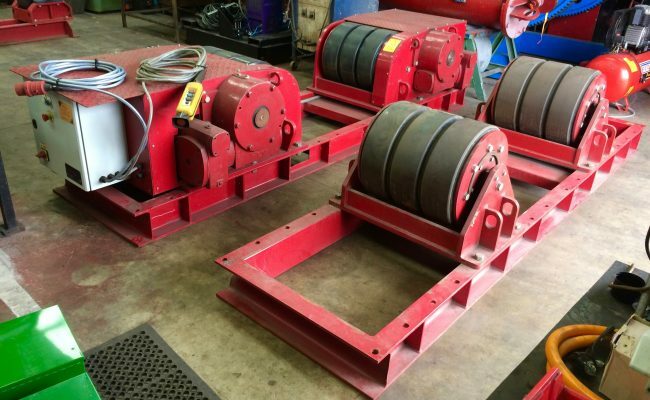 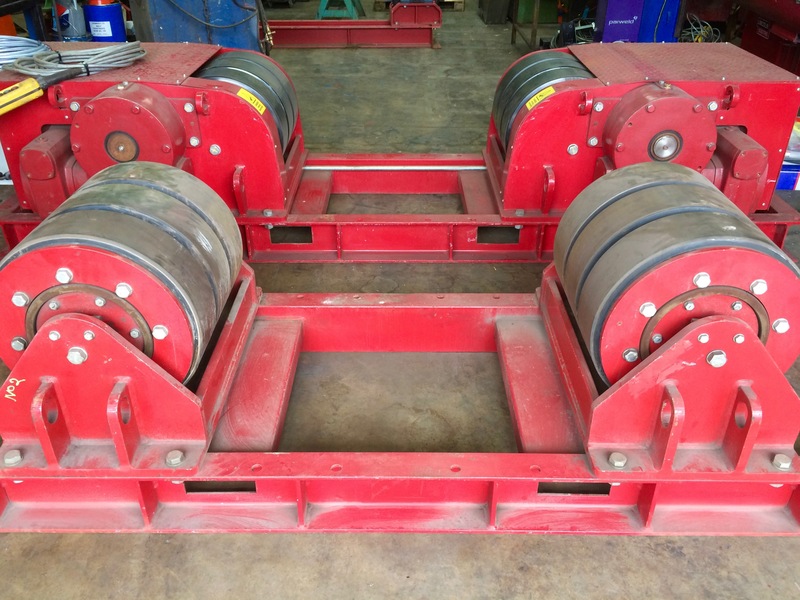 Get in contact to learn more about hiring and buying our heavy division welding rotators.